This family friendly home located on the beach side of Oceanic Drive will please everyone with it's large outdoor area, spacious open plan living and multiple balconies offering views of the beach. The gate at the rear of the property lead out to the beach. On the lower level, there are two bedrooms one with own courtyard and a sitting area. The master bedroom is located on the third level for total privacy and features it's own balcony. This property does not have air conditioning or ceiling fans. 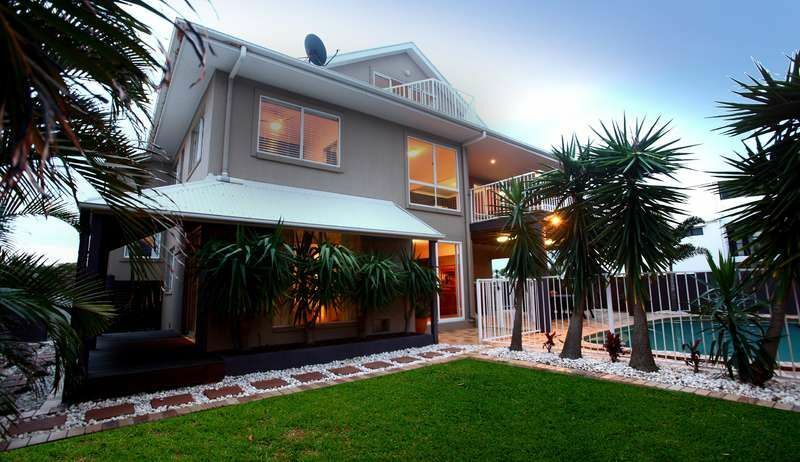 Walk along the beach to dinner and dine at the Kawana Waters Surf Club or stay in and enjoy a BBQ by the pool.